THE COACH HOUSE Garth, self catering cottages with instant confirmed online booking. We have Self Catering throughout Wrexham County , Wales . Accommodation near all the attractions, places to see and things to do.......You are able to make an instant secure confirmed online booking. We also offer Wrexham County AND Wales travel and tourist information..
Just 2 miles from Llangollen, this charming apartment set above an 18th century coach house is an ideal touring base.. A charmingly different property set above the A5 leading into Llangollen. It is a spacious apartment above an 18th century coach house in the rambling gardens of the owners&rsquo; house. An interior full of character, with a large balcony leading from the living room and far reaching views of the Vale of Llangollen. Just 2 miles from the picturesque town of Llangollen with its famous canal, River Dee and fine eating houses, shops and pubs. Centrally heated and double glazed it provides comfortable holiday accommodation whatever time of year. Ideal for golf. . Ground floor: Shower room with toilet. First floor: Living/dining room. Kitchen. Bathroom with toilet. 2 bedrooms: 1 double with 2 additional singles, 1 single (4ft).. Open fire in living room (initial fuel included). Oil central heating included (&pound;5 per day winter). electricity, bed linen and Wi-Fi included. Cot and highchair. Satellite TV. Video. Electric cooker. Microwave. Freezer. Small private garden and furniture. Large balcony and picnic table. Use of owners&rsquo; garden and woods. Parking (2 cars). Natural spring water from borehole. No smoking. 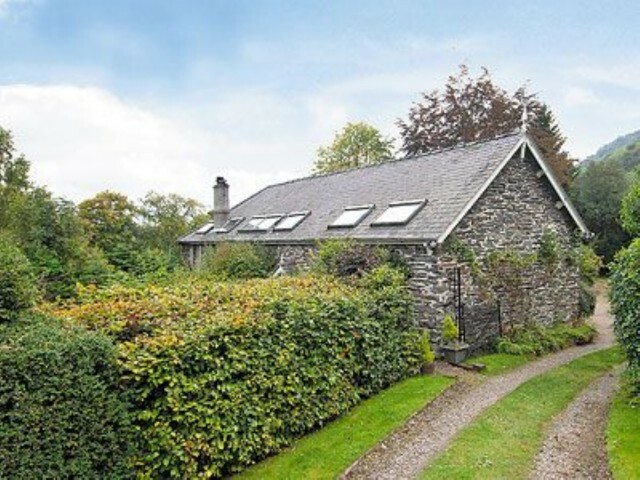 A charmingly different property set above the A5 leading into Llangollen. It is a spacious apartment above an 18th century coach house in the rambling gardens of the owners’ house. An interior full of character, with a large balcony leading from the living room and far reaching views of the Vale of Llangollen. Just 2 miles from the picturesque town of Llangollen with its famous canal, River Dee and fine eating houses, shops and pubs. Centrally heated and double glazed it provides comfortable holiday accommodation whatever time of year. Ideal for golf.